Converts banana plug to pin-plug adapter; pair allows use of pin-plug electrodes and muscle stimulator machine. Stimulator & Electrode Accessories can be found in our extensive online collection of products from globally recognized and trusted brands, including Uni-Patch. 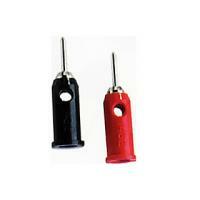 An excellent option to consider is the Banana Plug to Pin Adapters.